BOULDER, CO--(Marketwired - February 25, 2015) - SolidFire, ranked the storage industry's #1 Solid-State Array, is broadening the reach of its leading scale-out storage platform by qualifying its Element Operating System on select industry-standard hardware platforms. Complementing its existing appliance-based offering, the Element X Program announced today is specifically designed to more closely align with growing demand from the world's largest-scale enterprise and service provider customers to integrate SolidFire's software into their pre-existing hardware supply chains. "From day one, the value in the SolidFire technology has been 100 percent in the software," said Founder & CEO, Dave Wright. "Our go-to-market motion is built around delivering this software through the form factors, programs and channels that our customers are demanding in different segments of the market. The Element X Program, which allows our hyper-scale customers to consume this software in precise alignment with their evolving hardware supply chain needs, is a natural evolution of this model." Through the Element X Program, qualified hyper-scale customers can license SolidFire's Element Operating System to run on hardware either chosen from SolidFire's Hardware Compatibility List (HCL), or partner with SolidFire to jointly validate new hardware platforms to ensure they adhere to the necessary design, quality and performance standards SolidFire is known for. The program launches with two qualified platforms on SolidFire's Element X HCL: the Dell PowerEdge Platform and Cisco's UCS C-Series Rack-Mount server. "Hyper-Scale customers are unique." Continued Dave Wright, "The scale at which they operate enables them to establish volume-purchasing agreements that dramatically reduce their hardware costs, and they often leverage a single hardware platform for a variety of purposes within their datacenter. These companies have extensive data center footprints, treat IT as a profit center and are increasingly establishing their own hardware supply chains, integration, inventory management and sparing requirements"
With the announcement of Element X, SolidFire's unique feature set can now be delivered through the four leading models for Infrastructure Consumption: As a Service through Fueled by SolidFire Partners, as Converged Infrastructure (SolidFire AI) or a turnkey appliance (SF-series) through SolidFire's Cloud Builder channel partners, and now as software for industry standard hardware platforms. Only SolidFire offers a single industry-leading storage platform through four different consumption models, satisfying the needs of the smallest startups to the largest enterprises and now even hyper-scale customers. To help customers determine which consumption model is best for their needs, SolidFire has created a vendor-neutral tool called the Infrastructure Consumption Continuum, which can be downloaded for free from the SolidFire website. 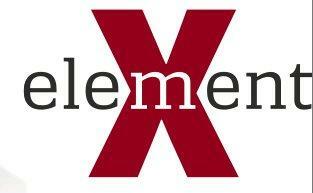 To learn more about qualifying for the Element X Program, please contact Dave Cahill via ElementX@solidfire.com.